When it comes to encouraging girls to get into STEM at a young age, it goes much deeper than providing them with pink engineering toys. Luckily, there are a few very special companies who also believe this, and make it their mission to include girls in engineering in a, well, gender-less way. GoldieBlox is one (you may remember the GoldieBlox Super Bowl ad), and Roominate the other; two such companies that are attempting to bridge the gender gap in STEM fields with "toys," but not in the way one would normally expect. To answer the last question, yes, we definitely will be teaching our young innovators by using toys like Goldieblox and Roominate at our iD Tech Mini locations. 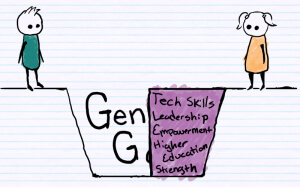 There are many initiatives to empower girls in tech and encourage them to enter the tech field. At iD Tech Camps specifically, we give away a number of scholarships to girls every year. At Alexa Café, we teach girls leadership, help them build confidence, and hone their tech skills. We teach young women to be strong. We teach them that technology and engineering are fields that belong to them, too. We teach them that they have the skills to be successful. 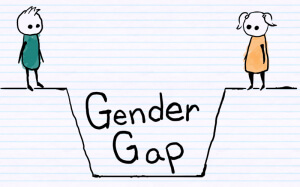 But we have to ask ourselves, can a gender gap be closed from only one side? As you can see, even success can leave some undesired space. By separating boys and girls with tech toys, even for the purpose of empowering girls, we still plant the seed early on that girls are different and need more help. This is where the gender gap starts. As a potential remedy, we are sharing GoldieBlox and Roominate with all of our campers at iD Tech Mini’s Maker Station. Why? Because it is just as important for young boys to see that girls belong in tech and engineering. Let boys and girls learn together, lead together, play together, help each other out, and problem-solve equally. Let them see that there is no difference between boys and girls, and no difference between what they can each achieve. So, if we want a level playing field, we need to be using tech and engineering toys featuring girls for all children to play with. Don’t wait until the teenage years to empower girls and to teach boys to be more open-minded. With these toys, we can close the gap from the beginning, not just bridge it.